O'HARA, Barratt, a Representative from Illinois; born in Saint Joseph, Berrien County, Mich., April 28, 1882; attended the public schools of Berrien Springs and Benton Harbor, Mich.; went to Nicaragua with his father and attended school at San Juan del Norte; at the age of fifteen years enlisted during the Spanish-American War and served as a corporal in Company I, Thirty-third Michigan Volunteer Infantry, at the siege of Santiago; after two years returned to Benton Harbor, Mich., and graduated from high school; reporter, Benton Harbor Evening News, 1900; attended Missouri University in 1901 and 1902 and Northwestern University in 1909 and 1910; graduated from Chicago-Kent College of Law in 1912; sporting editor of St. Louis, Mo., Chronicle in 1902 and the Chicago American 1903-1905; editor with Chicago Chronicle in 1906, Chicago Examiner 1907-1910, and Chicago Magazine and Sunday Telegram 1910-1912; Lieutenant Governor of Illinois 1913-1917; chairman of Illinois senate vice and wage investigations 1913-1915; was admitted to the bar in 1912 and commenced the practice of law in Chicago, Ill.; unsuccessful Democratic candidate for the United States Senate in 1915; during the First World War served as a major with the Eightieth and Twelfth Infantry Divisions and later as divisional judge advocate of the Fifteenth Division; president of the Arizona Film Co., in 1916 and 1917; unsuccessful candidate for Governor in 1920, and for Congressman-at-large in 1936 to the Seventy-fifth Congress; radio commentator in Chicago 1933-1935; elected as a Democrat to the Eighty-first Congress (January 3, 1949-January 3, 1951); unsuccessful candidate for reelection in 1950 to the Eighty-second Congress; elected to the Eighty-third and to the seven succeeding Congresses (January 3, 1953-January 3, 1969); unsuccessful Democratic candidate for renomination in 1968; died in Washington, D.C., August 11, 1969; interment in Oak Woods Cemetery, Chicago, Ill.
Papers: 1948-1968. 62 feet. Correspondence and other materials relating to legislative activities and reflecting his interest in foreign affairs. Unpublished guide and index cards in library. 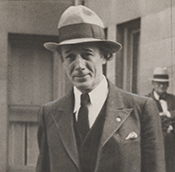 O'Hara, Barratt. From Figg to Johnson: A Complete History the Heavy-Weight Championship. Chicago: The Blossom Book Bourse, 1909. ------. Protecting Childhood Through Legislation. Address of Barratt O'Hara, Lieutenant Governor of Illinois, before the annual convention of Illinois State Federation of Women's Clubs, at Urbana, Illinois, November 16, 1916. Springfield, Ill.: Schepp and Barnes, 1916. ------. Who Made the Constitution? With the Authority for the Charge of Usurpation by the Judges. Chicago: Privately printed by the Author, 1936.